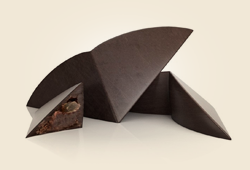 Your New Online Chocolate Shop! Because we at Planète Chocolat like to move with the times, whilst still using our traditional recipes, we are proud to present the newest addition to our team. For the last nine months we’ve been working very closely with the talented team from Axome to bring you what we’ve been doing so well since 1991 in an even better way. We like to think we’ve put our handmade Belgian chocolates in a new box! It’s much more than that. We wanted to recreate the feel of an artisan chocolate shop and give you the chance to choose your favourite pralines one by one and fill your box as if you were standing at our shop counter in 24, Rue du Lombard, Brussels. 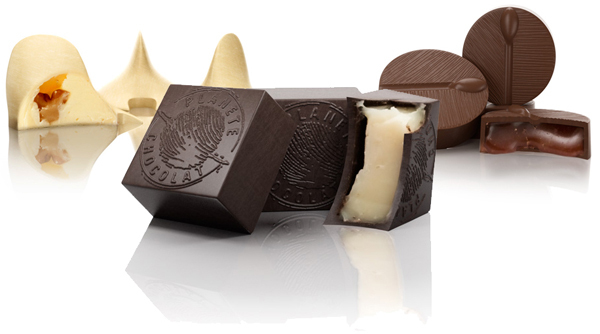 We have selected SEPTANTE (the Belgian word for seventy) pralines, some with classic flavours and some more exotic. So, how do you choose from all these delicious flavours? Well, according to our master chocolatiers, the only way is to try them all! You can select the size of your chocolate box (250g - 500g - 1kg) right here. Fresh chocolate, just out of the mould! Because we make our chocolate every day we can guarantee you the freshest chocolate of the finest quality made with 100% cocoa butter, completely free of GMOs, preservatives and colourings. The widest choice and the perfect gift on any occasion. Because a chocolate is always a lovely surprise and guaranteed to please, we have built our website so that you can select gifts for your nearest and dearest with ease from the comfort of your home. You can also add a personal message for the lucky recipient that we will write on a lovely card and slip into a chocolate coloured velvet pouch. 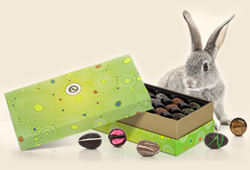 Have your chocolate delivered anywhere in Europe! Distance should be no object when you want to give a gift. That’s why we deliver Belgian chocolates all over Europe at a very reasonable price. Our shipping costs are those of our transporters, we do not make any profit on them and we negotiate the best rates for you. We are working to cover every country in the world, so if you don’t find your country on the list, please contact us. We hope you like our new website and we’re really looking forward to reading your feedback! Don’t forget to sign up for our newsletter at the bottom of the page - we’ve got some surprises in store for you!